3 good reasons to call upon a contract manufacturer specialising in probiotics. You can’t help but notice how probiotics’ (also called fermented milk cultures or microbiotics) and microbiota popularity is increasing with scientists, consumers and professionals. So much so that microbiota is now recognised as an organ itself and called the second brain, not surprising when you know that there are up to 100,000 Bn micro-organisms in the intestinal microbiata1. Widely dominated by use for food proposes, the probiotics market for neutraceutical products is not necessarily less dynamic. The future of probiotics is more than promising with a 38% growth forecast between 2016 and 2021 for dietary supplements (evolving from $4.3 Bn to $5.5 Bn)2 and investments of around $744 M in 2016 worldwide ($3.2 Bn forecast between 2020/2024)3. This funding will allow to continue research on their benefits on different health concerns from the least to the most serious: digestive (diarrhoea, irritable bowel syndrome, chronic inflammation of the intestines), cognitive (anxiety, Alzheimer’s disease, autism…) or those relating to the metabolism or immune system to only mention a few! PileJe Industrie, are undeniable experts in probiotics with true synergistic skills divided into three large areas. The market has multiple strains on offer: Lactobacillus, Bifidobacterium etc. Each strain has its own important characteristics (benefits, applications, shelf life and stability etc.). That’s why selecting them is an important stage not be neglected. The origin, identity, purity and stability of the strains are guaranteed over time. 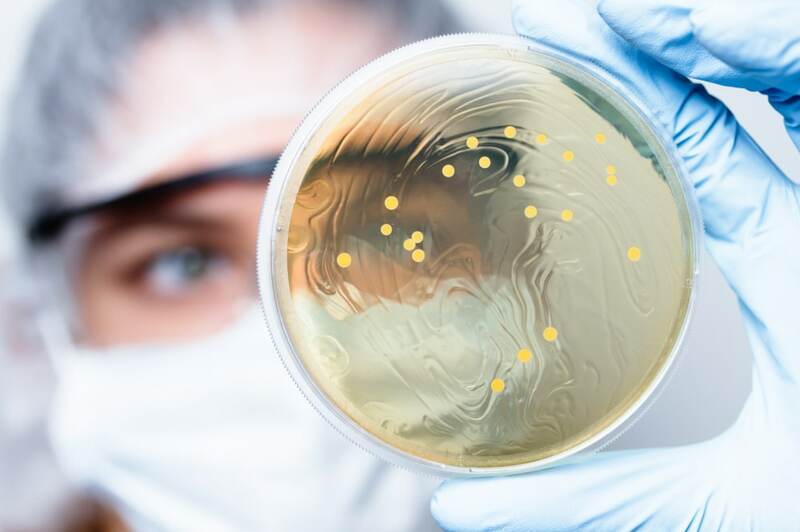 The strains selected (derived from Bifidobacterium, Lactobacillus, Lactococcus, Streptococcus types) are presently used in the food industry for human food purposes and belong to the QPS (Qualified Presumption of Safety, EFSA) list. Viability tests are performed throughout the production line to guarantee the presence of viable bacterial population in the finished product in compliance with the recommended daily intake: minimum one billion of probiotics. Strains are fragile and could easily be damaged during process and storage before use. Thorough ageing studies are carried out systematically in various conditions of temperature and hygrometry. We offer formulations which are stable 2 years at room temperature. Genibio uses a large range of in vitro tests which allow showing the probiotic potential of lactic bacteria strains and bifidobacteria such as: the survival rate in duodenal models, the production of antimicrobial substances, adherence to intestinal and vaginal mucous, and immunomodulatry properties. This constant in-depth selection allows PiLeJe Industrie to offer more than 20 strains from 15 different species of lactic bacteria and bifidobacteria to formulate. >> You will find all of the available strains here. In partnership with Genibio, PiLeJe Industrie develops original formulae associating one or more strains with other active components having synergistic effects like prebiotic oligosaccharides, some minerals, vitamins and plant extracts depending on your required specifications. Innovative formulas improving the survival and growth rate of probiotic strains as they move through the human digestive system. Expert in processing dietary supplements:, PiLeJe Industrie manufactures packaged finished products. They use a complete quality management system, according to ISO 9001, and a food safety system based on a HACCP approach certified ISO 22000, to provide you with safe and compliant products throughout their shelf-life. Would you like to know more about PiLeJe Industrie’s probiotic expertise? Contact our experts who will support you throughout your project. 2. Euromonitor, Tapping the growing market of probiotics, 2016. Our teams are looking forward to meeting you in VITAFOODS EUROPE from 7 to 9 May 2019 in Geneva (Palexpo). Come and discover our innovative solutions on stand C24. To arrange an appointment, please contact us.